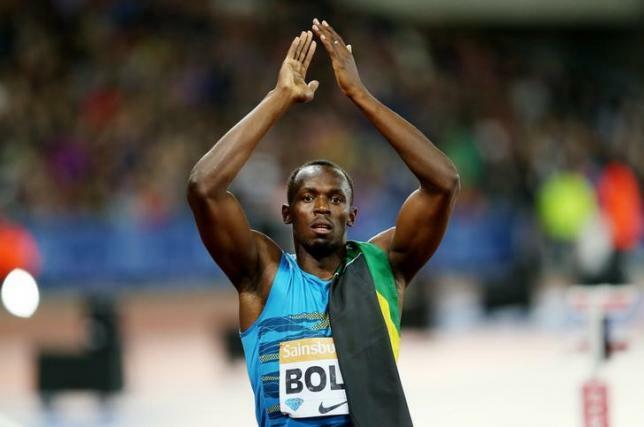 KINGSTON – Six-times Olympic gold medallist Usain Bolt will miss Jamaica’s training camp in Japan before the world athletics championships in Beijing later this month, the manager of the Caribbean island’s delegation said. “He’s (Bolt) the only one who is not in camp, because you know he was undergoing some amount of examination while he was preparing at the same time,” manager Ludlow Watts told Reuters by telephone from Japan. “He was to come in (camp in Japan) but at the last moment it was decided that he should not come, considering that the team is just two days away from travelling to Beijing. Watts also said about 14 athletes, including reigning double sprint champion Shelly-Ann Fraser-Pryce, who were having problems obtaining Chinese visas through Italy, should get them by Monday in Japan. “It is being sorted, in other words by tomorrow it will be completely sorted because it is in the process and I expect it will be completed by Monday,” Watts said. Meanwhile, Commonwealth Games 100m gold medallist Kemar Bailey-Cole has been ruled out of Beijing after suffering a torn hamstring. In a message on his Facebook page, the 23-year-old sprinter said he was ending his season. “It is with bitter emotions that I am announcing that my season has come to an end. I will not be competing at the World Championships,” read the post. “This is so as an ongoing cramp to both hamstrings at the London anniversary games now lead to one of them been torn yesterday (Aug. 15) in practice. Watts said Nesta Carter will likely replace Bailey-Cole in the 100m sprint. “The technical team will determine that, but it’s like that Nesta Carter would be the one to take the 100m meter spot,” Watts told Reuters. Carer, who came fourth in the 100m sprint at the Jamaican trials, won the bronze medal in the same event at the World Championships in Moscow in 2013. “We still have a good team and I hope that things will work out well,” Watts said.